We may not yet have snow on the ground or freezing temps, but winter is here and Christmas is just around the corner! Holiday decorating is a such a treat - we love mixing new trends with old traditions to create a festive and welcoming vibe. Greenery, single-color themes and thick ribbons are taking center stage this year. Whether you love to cover every inch or focus solely on the tree, here are our favorite ideas to make your whole home bright this holiday season. We love wreaths year-round and especially so at Christmastime. Whether you pull in traditional red and gold tones (left) or stick with neutrals (right), wreaths offer a friendly "hello" to guests throughout the season. A over-the-door wreath hook can easily be dressed up (or completely hidden) with a thick ribbon. For a budget-friendly option, try adding holly berries, ornaments and bows to a basic green wreath to create an original look. It's hard to go wrong with garland. 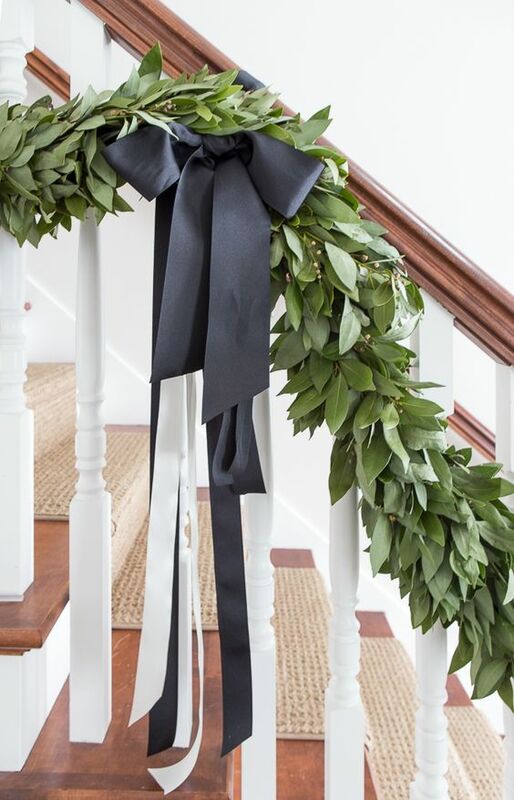 Above the front door, along the banister, or hanging from the mantle, it's a classic look that's easy to execute. We love fresh garland (the smell and texture are hard to replicate); however, there are many faux options on the market now that will stay green all season... and for years to come. Opt for thick strands that weave a variety of leaves together (magnolia is a current trend that we adore!) for a more natural look. O, Christmas Tree! How we adore thee! 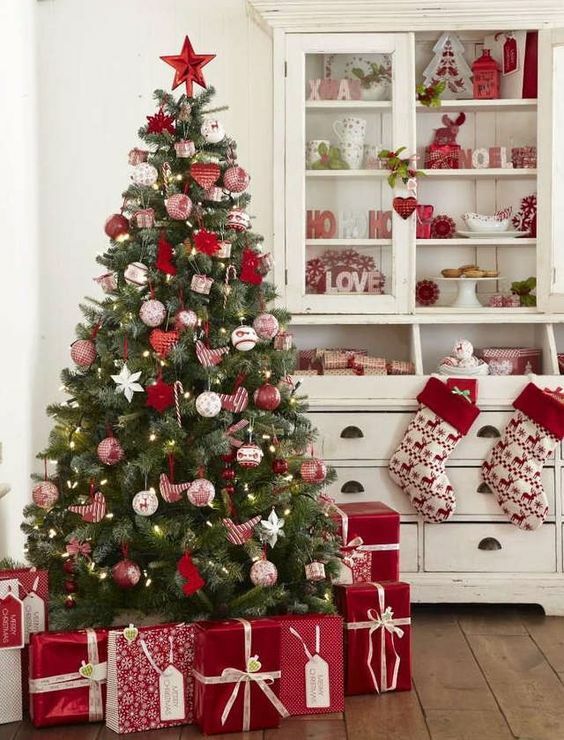 Trending this year are single-color themed trees (red, for example, as is shown on the right) as well as "underdressed" trees (left). We love the simplicity and traditional feel of both looks; either could be executed with a mix of family and decorative ornaments. If you're getting ready for a few or a crowd, here are two sweet and simple options for place settings. Plaid is back in a big way; we love the mix of solids, stripes and pattern in the example on the left. Fresh stems are popular for place settings this season, too - a little fragrant treat for each guest also provides a pop of color for an otherwise white table setting. 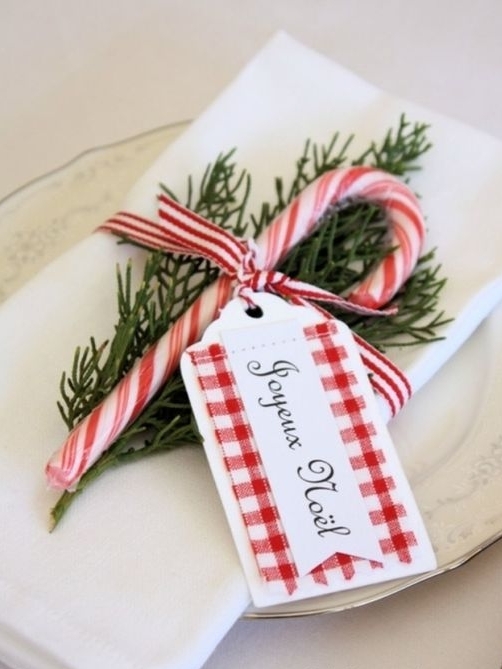 Either way, give place cards a try! They're an easy way to add a personal touch.